All students are invited to join the Student Organization for Sustainability (SOS). The purpose of SOS is to promote awareness of environmental issues ranging from the local to the global scale and to take actions that might alleviate unsustainable activities. Promote the sustainability of natural resources through appropriate means that affect and/or are affected by the campus, surrounding community, and global community. 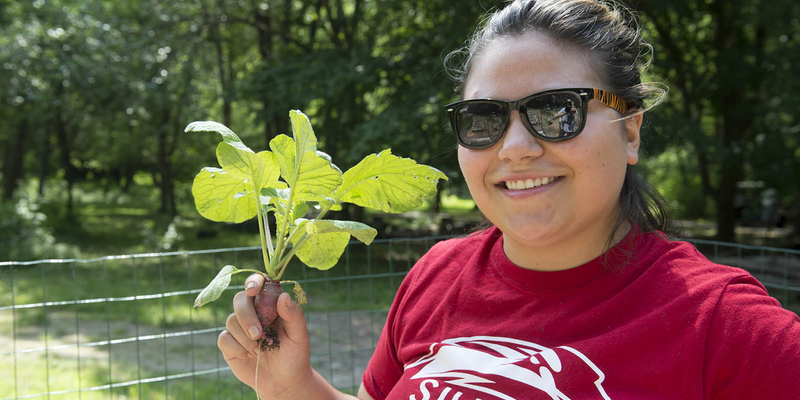 Students are also invited to join Natural Connections, a student organization concerned with community gardens and nutritional education for students. Choose campus dining facilities that are "green"
Purchase environmentally friendly products - recycled content paper, nontoxic cleaning supplies, local food, etc. Recyclemania - Contest for sustainability between universities. Take Back the Tap - Food & Water Watch is working with students at colleges and universities across the United States to promote tap water over bottled water on their campuses.